Description: Large, black and yellow “bubble bee” looking bug. It has a shiny, black rear end and drills 1/2 inch round holes in wood on homes and garages. Females can sting – males can’t, but are aggressive. Male and female look the same and can’t be differentiated to the naked eye. 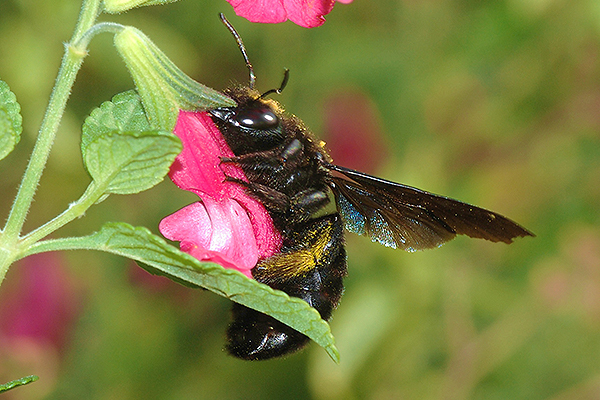 Stings from Carpenter Bees are rare. 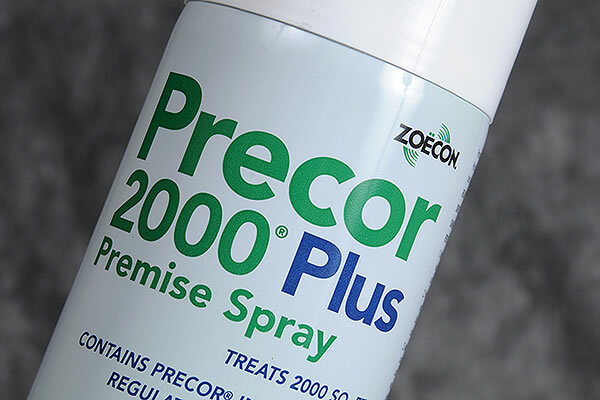 Treatment: Bug-A-Boo uses a wettable powder applied in holes and sprayed on surfaces. We use ladders and/or bee poles to reach high places. - All treatments are done outside or in infested areas. - Treatment does not affect animals or children. - Do not have to avoid treatment area at any time. 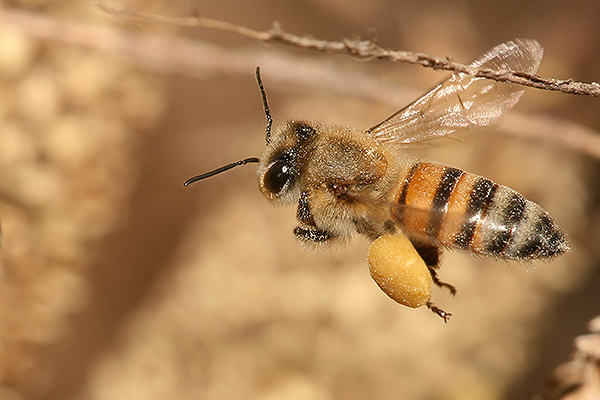 Honey Bee: Small, Fuzzy, yellow and black bees occupying on nests. Yellow Jacket: 1/2 inch long black and yellow with no hair. They make paper nest in houses, crawls or in the ground. Bumble Bees: Large, yellow and black, hairless body (black rear). Nests by drilling holes in wood. Flys slowly and hangs in the air. Bold Face Hornets: Large, black hornets make large nests from trees. Usually very aggressive by nature. It is not recommended for home owners to try and treat yourselves. Wasps: Large, black or red mud tubes or comp-type nests in, on or around homes, barns, etc. Treatment: Most bees are treated with wetable powder or gas applied into holes or nests, then sprayed with a residual chemical. - Homeowners wanting to treat themselves can get a seven dust or dawn dishwashing liquid and apply to holes. This this does not kill them or the nest is too large, you may have to get a professional. - For honey bees – you may call a Bee Keeper to see if they want to remove and salvage the nest.